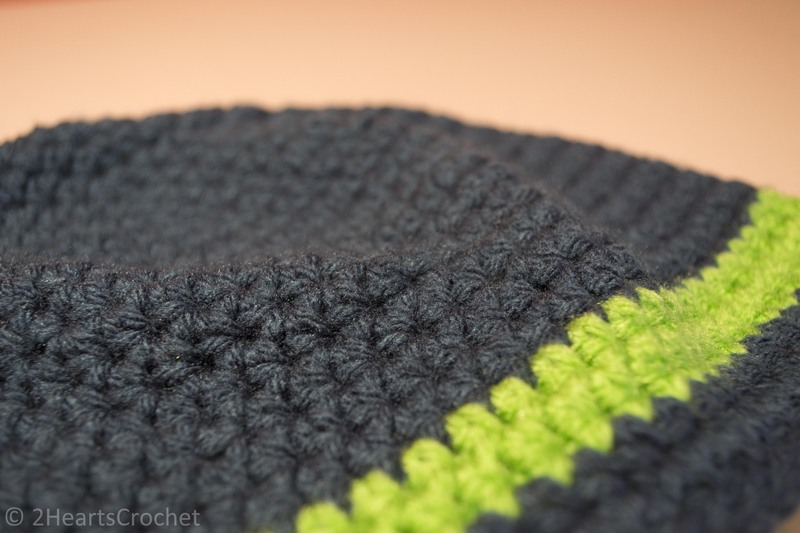 For a long time, I’ve struggled using other patterns for beanies with the half-double crochet stitch. One of my favorite crafters, Sarah from the fantastic blog Repeat Crafter Me, has a fantastic pattern for beanies of different sizes that is worked in the double crochet stitch, but sometimes, depending on the hat and its intended wearer, I find that the double crochet stitch leaves too large a gap between stitches for my liking. 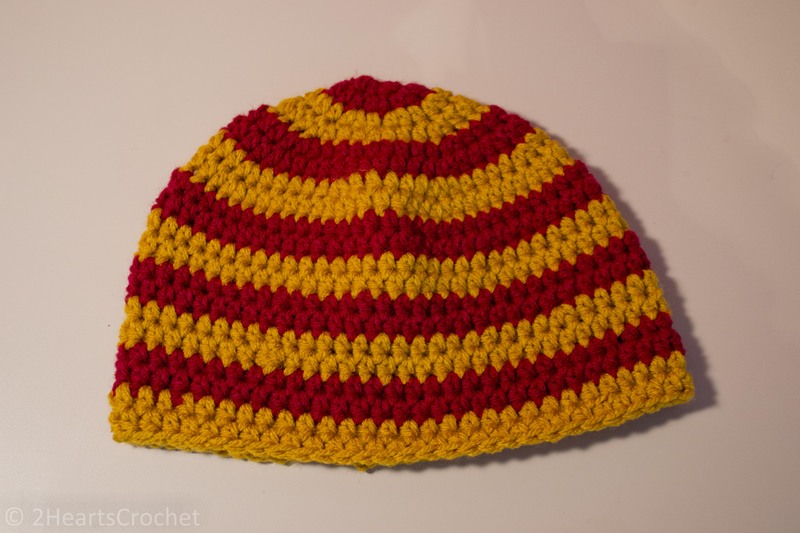 In my search for a hat pattern worked in the half-double crochet stitch, one of the most common things I’ve come across is that you can find a pattern, but it’s only for one or two different sizes. But what if you want to make one for Dad, Mom, Big Sister and Baby Brother? What do you do then? Thank goodness for three-day weekends! I finally sat down and worked out my own pattern for several sizes, all worked in my favorite half-double crochet stitch. The hats in these pictures both have stripes. 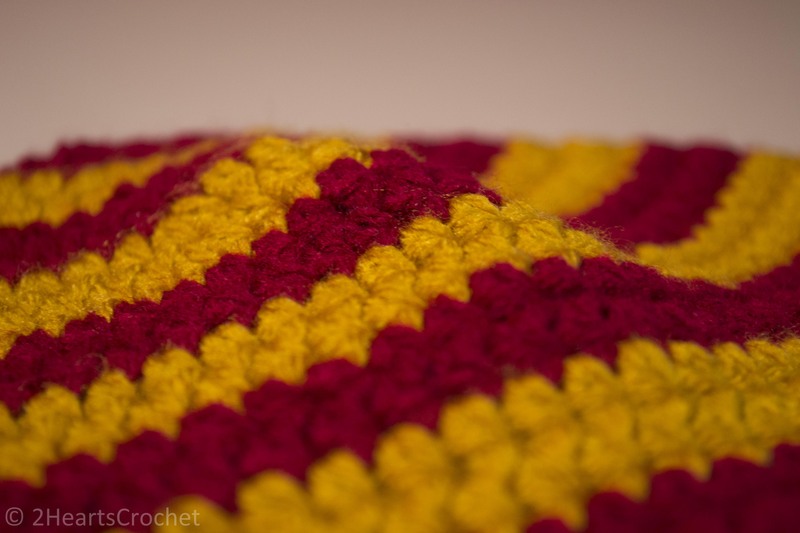 For the multi-striped crimson and gold, I simply worked each pair of rows in alternating colors. For the Seahawks blue and green, I worked all the way through the pattern until I reached the sixth-to-last row, did two rows of green, and finished the hat in blue. Rnd 1) Make a magic circle. Ch 2. Make 8 hdc inside the circle. Join to beginning of the round and ch 2. Rnd 6-15) 1 hdc in each st around. Join to beginning of the round and ch 2. Rnd 16) 1 sl st (loosely) in each st around. Join to beginning of the round and fasten off. Weave in ends. Rnd 7-18) 1 hdc in each st around. Join to beginning of the round and ch 2. Rnd 19) 1 stl st (loosely) in each st around. Join to beginning of the round and fasten off. Weave in ends. Rnd 8-20) 1 hdc in each st around. Join to beginning of the round and ch 2. Rnd 8-21) 1 hdc in each st around. Join to beginning of the round and ch 2. Rnd 22) 1 sl st (loosely) in each st around. Join to beginning of the round and fasten off. Weave in ends. Rnd 9-21) 1 hdc in each st around. Join to beginning of the round and ch 2. Rnd 10-23) 1 hdc in each st around. Join to beginning of the round and ch 2. Rnd 10-24) 1 hdc in each st around. Join to beginning of the round and ch 2. Rnd 25) 1 sl st (loosely) in each st around. Join to beginning of the round and fasten off. Weave in ends. Rnd 11-25) 1 hdc in each st around. Join to beginning of the round and ch 2. Rnd 26) 1 sl st (loosely) in each st around. Join to beginning of the round and fasten off. Weave in ends. 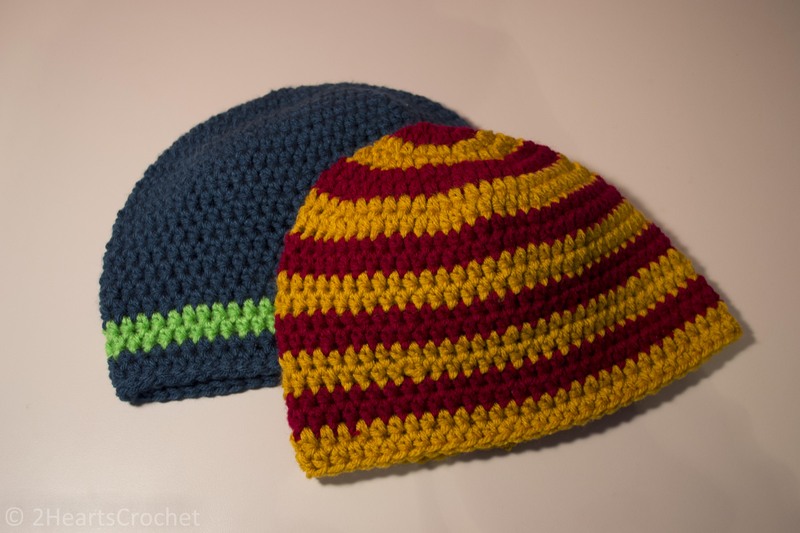 For some sizes, it may be necessary to add or remove some hdc rows depending on the length you desire for the beanie. The Seahawks beanie in the pictures, for instance, was made in the Child (6-10 Years) size for a kid who is almost six years old. When he’s older, I may need to sew on an additional few rows to increase the length so that it covers his ears, but for now, the standard pattern is a bit too long for him. 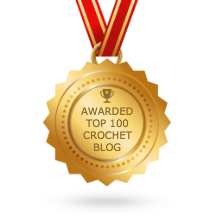 Give it a go and see what works for you and the loved ones you crochet for! And that’s it! 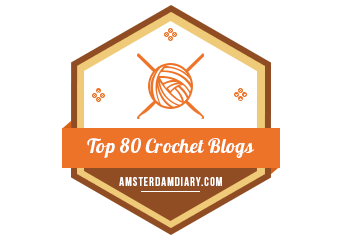 So many different options, so much crochet love. Happy crafting!